Today saw the first meaningful push of Meadow Pipits and Swallows of the autumn. On the move (south unless stated) were 16 Teal north, 1 Buzzard, 5 Snipe, 8 Black-headed Gull, 1 Arctic Tern north, 143 Swallow, 5 House Martin, 8 Sand Martin, 103 Meadow Pipit, 1 Flava, 1 Alba, 1 Grey Wagtail, 9 Tree Sparrow and 41 Linnet. Migrants in the Long Nab area included 6 Whinchat, 6 Whitethroat, 4 Chiffchaff, 3 Willow Warbler and 1 Spotted Flycatcher. In the Ravenscar area there was a Marsh Harrier and in South Bay there were 5 adult Mediterranean Gulls, 24 Sandwich and 1 Common Tern. 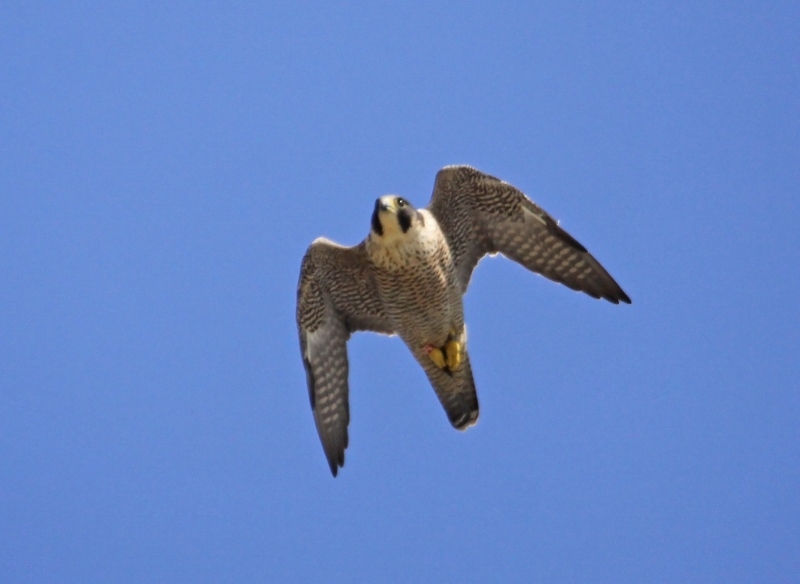 Of interest, a new Female Peregrine has taken up residence along Marine Drive. 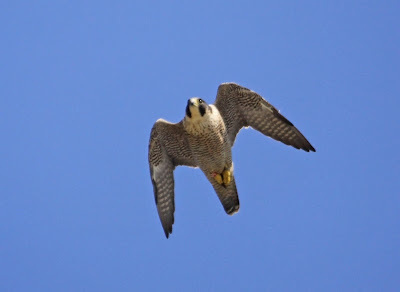 Here is a record shot taken by Adrian Ewart showing the red Darvic 'FC', she was rung as a chick on 19th May 2012 at an undisclosed site in East Lancashire and was last seen there in August last year.